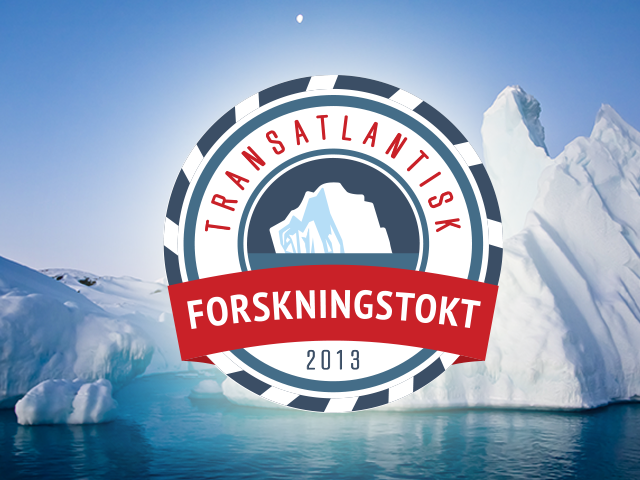 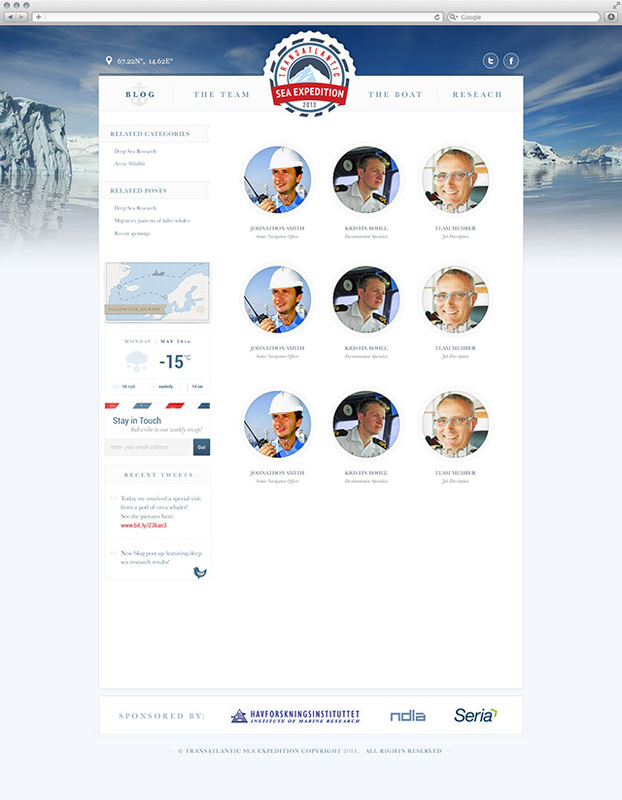 The Project: In 2013 NDLA introduced a virtual classroom in conjunction with IMR transatlantic research cruises. 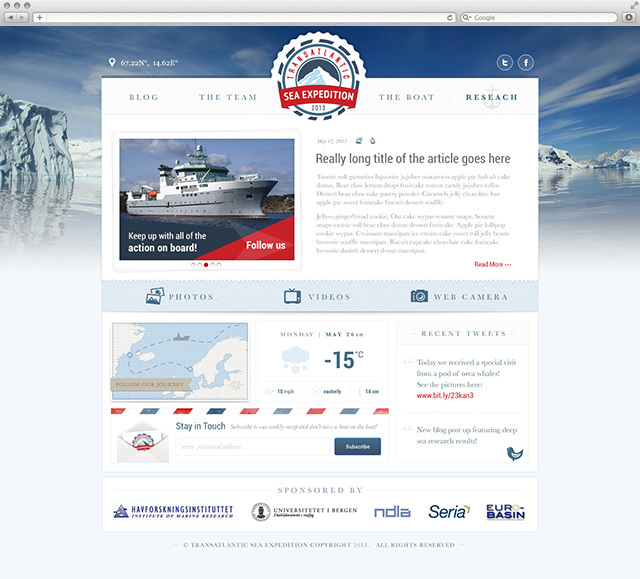 The virtual classroom website offered a live data feed and blog updates from the research boats via satellite, and teachers were able to create lesson plans that coordinated with the live research. 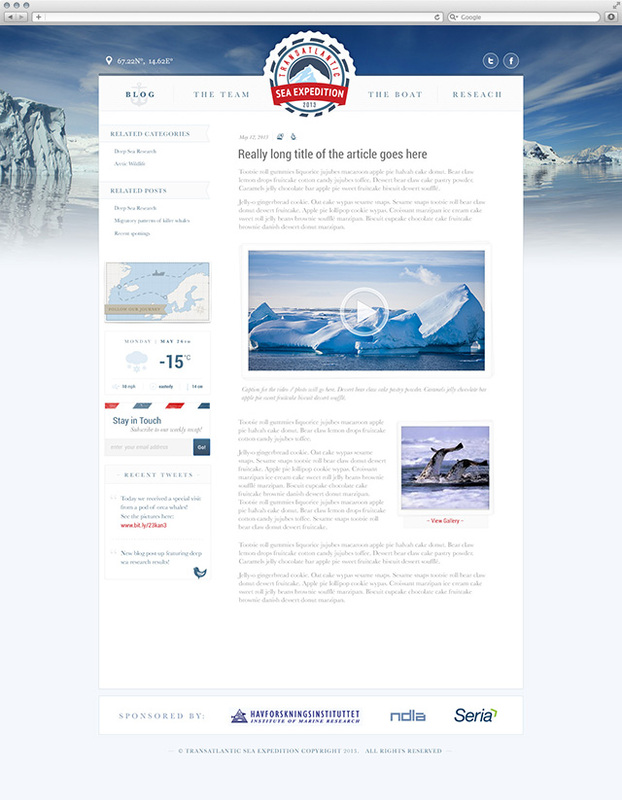 After the completion of research expedition all of the teaching resources were available for free online to NDLA classrooms. 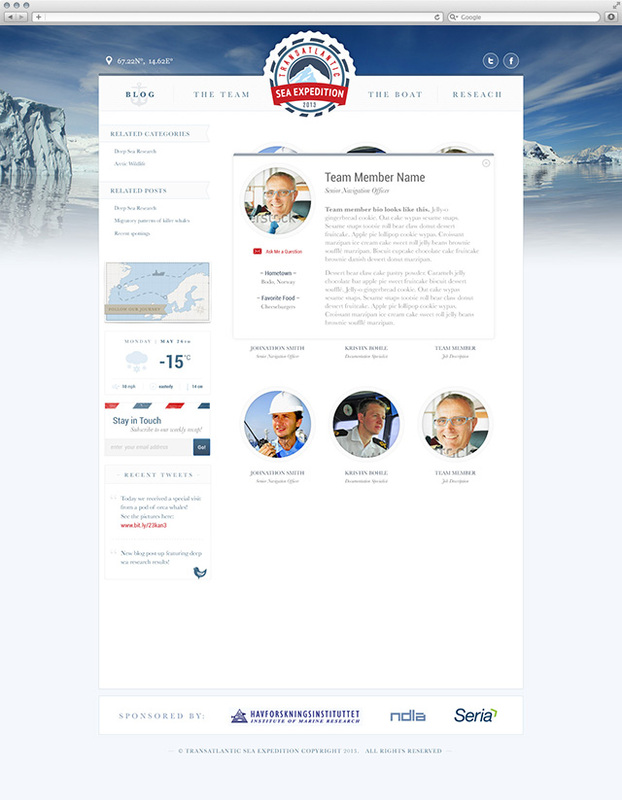 My Role: I was the sole designer responsible for creating a logo and blog website design. 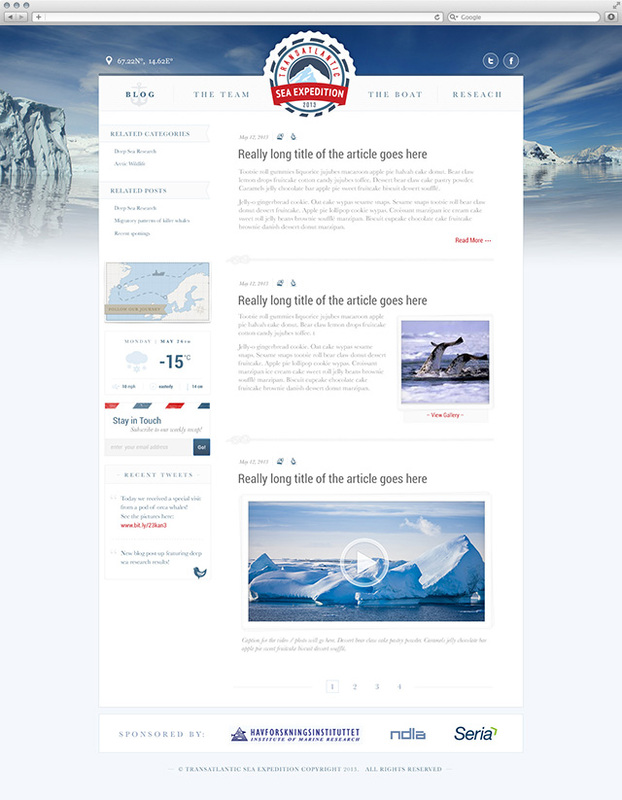 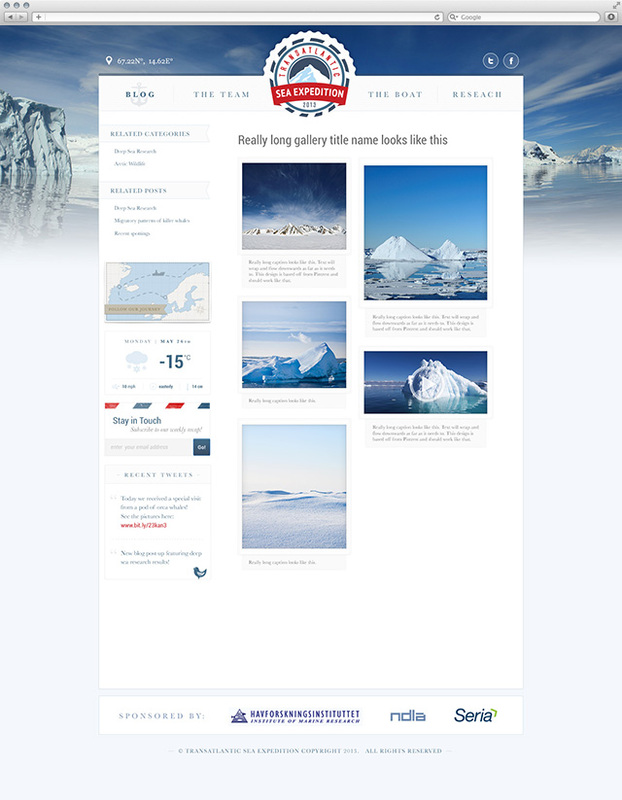 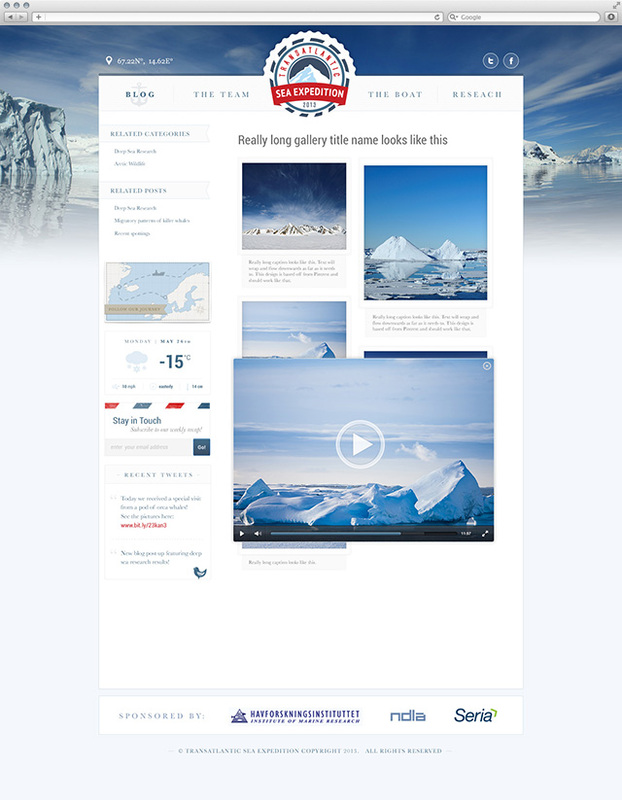 I worked closely with frontend developers to create a template that would be content flexible, yet convey the spirit of polar exploration.